â—†ã€Design Conceptã€‘: This design is made by Ms Rachel of â€œfastgoâ€ in Jan of 2018. 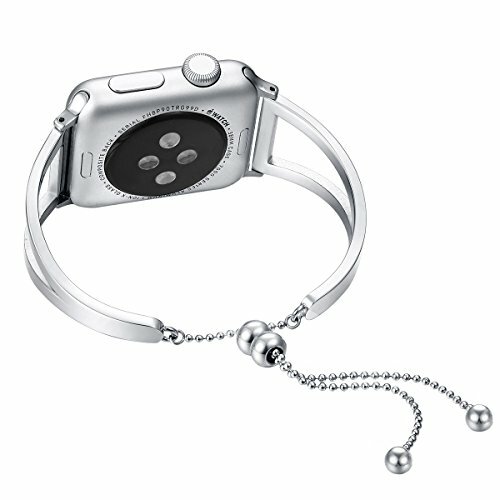 The motivation is to help alter your bulky Cuff for Apple Watch Band to â€œCuteâ€ â€œClassyâ€ â€œDressyâ€ Jewelry look with comfortable wearing experience. 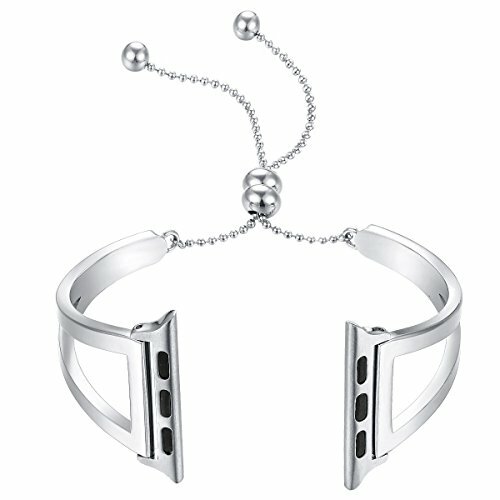 Kindly note: â€œfastgoâ€ watch band considers human wrist curve, so the band will fit snugly for different human wrists. But all other followers in the market do not consider wrist curve fit enough. â—†ã€99% ending â€œloosening upâ€ problem by Newest Updated Locking chains & balls from Feb 2019ã€‘: â€œfastgoâ€ Patented Original Design. 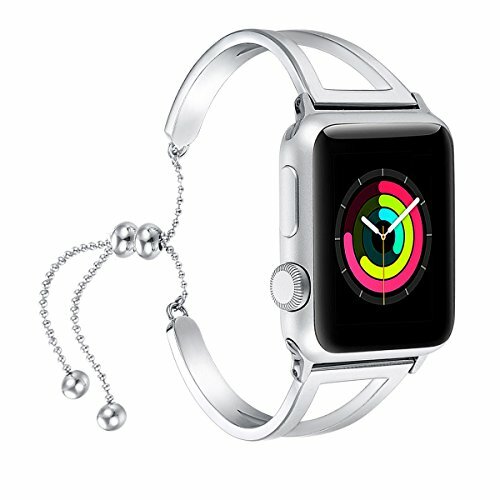 Kindly note that this for Apple Watch Bands/Iwatch bands Series are with updated New technology from Feb 2019 to make it stay on and â€œNever get looseâ€ with long durability CHAINS and newest locking balls. 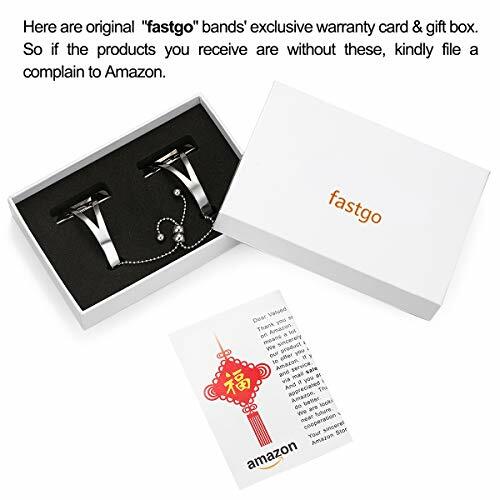 So kindly buy from â€œfastgo Directâ€ and get the most â€œSecureâ€ and â€œoriginal updatedâ€ version â€œfastgoâ€ for Apple Watch strap. â—†ã€Material & Maintenanceã€‘: Nickle free, Allergy Free, 304 stainless steel, durable and textured and nice polished. No tarnishing or discoloration or getting rusted. Super easy to adjust and take off, well made and sturdy. Maintenance: If the band is idle for long time, it will be little oxidized, but it is not rusty nor tarnished. Just kindly rub it with a piece of dry cotton cloth and it will look new again. â—†ã€Sizeã€‘: This stylish snug dressy for Apple Watch Band is size adjustable and one size for all, and recommended wrist size is between 5.5-7.2inches. The size can be adjusted by sliding the chain balls up and down. And kindly slide the ball one by one(not 2 together) to sustain long term use. And it fits for Apple Watch Band Series 4/3/2/1,Sport, Hermes, Nike+, Edition, all 2015, 2016, 2017 and 2018 models. 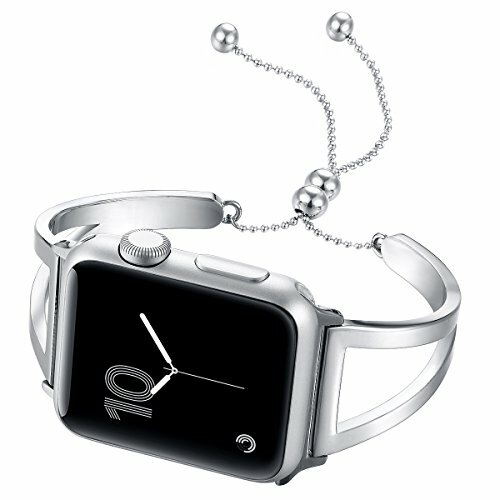 â—†ã€Occasionsã€‘: This Iwatch band is elegant and classy, it is suitable for holiday parties, concerts and very proper to be used as gifts/presents for Wedding day, Birthday, Valentines' day, Mothers' day, Christmas, Thanksgiving Day etc.